The Hamdan bin Mohammed bin Rashid Al Maktoum International Photography Award (HIPA) launched a photo gallery in SM Aura Premier showcasing winners and finalists from the 4th season of competition ‘Life in Colour’. The gallerywas from May 28-June 3, 2015. 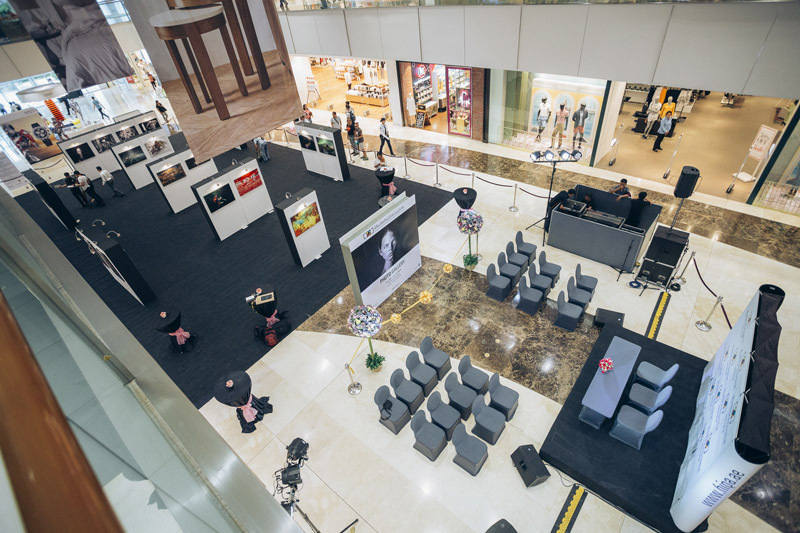 HIPA also presented two workshops at the Samsung Hall in SM Aura Premier by world renowned photography author and HIPA judge, Tom Ang. Ang Workshop was held last May 30th and 31st 2015. Commenting on the HIPA participation in the Philippines, His Excellency Ali bin Thalith, the Secretary of General of HIPA said “We are delighted to participate with the HIPA photo gallery in what is proving to be one of the most passionate photographic communities in the world, the Philippines”. “The gallery and workshops present our largest ever participation in the Philippines and we hope to inspire more Filipino photographers to participate with HIPA and in turn excel in the art of photography”. Commenting on Tom Ang’s workshops, Bin Thalith continued “Tom Ang is one of the most well-known photographers and photography authors in the world, we have previously hosted him for workshops in Dubai and the feedback received was phenomenal, we expect equally impressive results in the Philippines and hope that the local community will benefit from his priceless expertise”. The Hamdan bin Mohammed bin Rashid Al Maktoum International Photography Award was was founded in 2011 under the patronage of H.H. Sheikh Hamdan bin Mohammed bin Rashid Al Maktoum, the Crown Prince of Dubai and recently concluded its fourth season of competition ‘Life in Colour’. With a grand prize of $120,000 USD and an overall prize pool of $400,000 USD the fifth season of HIPA is set to be themed ‘Happiness’ with ‘Wildlife’, ‘Father and Son’ and ‘General’ making up the rest of the categories.